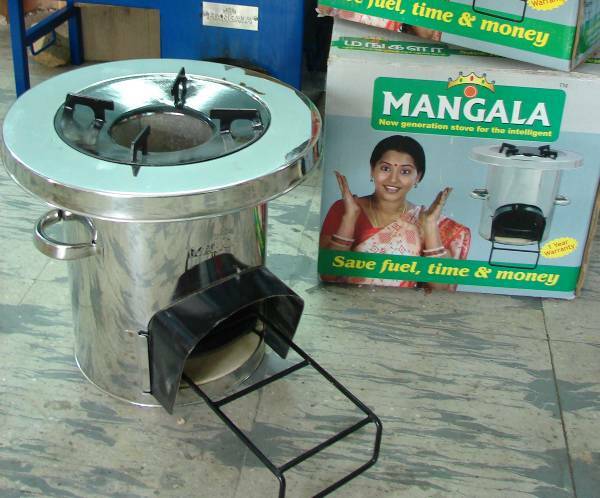 The following is an initial report of the performance of three types of Rocket stoves: a single pot stove, a double pot stove, and a double pot stove with chimney, compared to both the open fire and traditional stoves commonly used in Tamil Nadu, India. The stoves were tested using the Controlled Cooking Test to measure fuel use, carbon monoxide and particulate matter emissions made while local cooks prepare commonly made foods. Portable emissions measurement equipment created by Aprovecho Research Center was used to measure emissions made in both the lab and field. 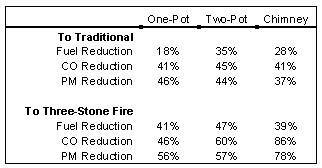 while an 84% improvement was seen in IAP as compared to the three-stone fire. dependant on the source of the fuel. 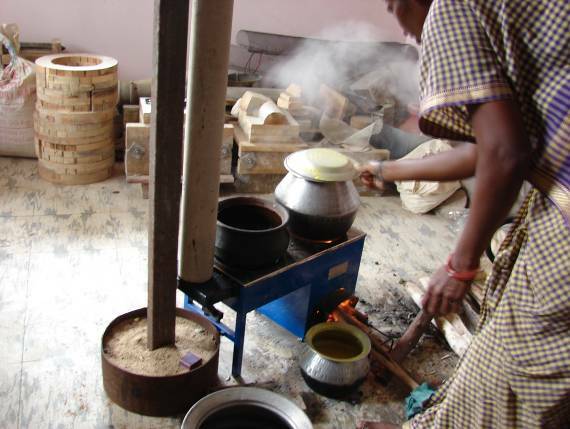 The Controlled Cooking Test series conducted on the pilot stoves in India was a positive experience. Results showed fuel and emissions savings to be substantial, and generally inline with what was expected from the laboratory design. The portable emission equipment functioned well and was easy to use and unobtrusive to the cooking process. Observation of the cooking practice was informative, and spending time with the women who will actually use the stove was invaluable. 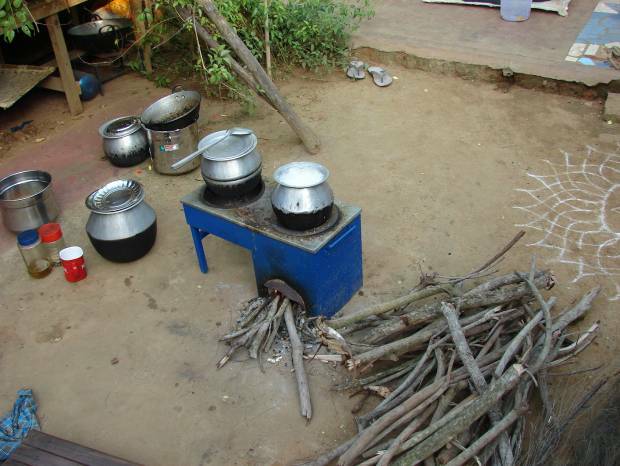 It is hoped that the results of this study can be shared in order to encourage other stove groups to take the time and direct resources needed to conduct field testing in a careful and scientific manner.